Have the chance to purchase a raggity 63 Imperial 4 door with a 413 and pushbutton Trans. I mainly want the car for the motor.Is the 413 really anything special? Can anyone shed light on this motor? only if its a maxi or a longram 413.. otherwise its just another RB engine. 413 is basically a 440 with about a 1/8 inch smaller bore and 27 fewer cubes. Except for pistons, anything that will fit a 440 will also fit a 62 and later passenger-car 413. Good forged cranks. Actually have a tad bit more torque. Difficult to find parts for though. Thrashed one for a while in my RR. Made it a tough fight, on the street, for anyone. Kept the crank for my 440 now. Piston availability is poor compared to the 440(duh!) but other than that they can make great performance engines. There is nothing special about a 413 unless you're restoring a car that had one originally. The 413 is just the same as a 440 but with a smaller bore size. The smaller bore size doesn't have any positive attributes, it just makes the motor smaller and restricts the brething of the valves. No they are not special. They are in the "can't give it away" category. Also, 413s equally built with a 440 will always have less torque as torque is primarily determined by cubic inches. But what to do with a good 413 block? This is why I developed my recipe for a 472 built on a 413 nearly free block. Use the stock rods and a 4.15" stroker crank. Bore the engine to fit standard bore cast 383 pistons, the type with compression height about 1.83 or lower. Put it together, it is going to have to be balanced, should be close though. Use any set of open chamber cast iron heads, the 452s are nice. Use a camshaft with about 230 degrees of intake duration, we are building a torque motor. Use your favorite 440 intake. If you do it right with home porting on the heads using the templates, you should end up with an honest 400 hp and 550 lb-ft of torque (guess-top dyno). This engine will outpull a similarly built 440 up to say 4500 rpm. Compression ratio will be around 9.5:1, pump gas friendly. Or you can sell the 413 for 11 cents a pound. or, you end up with a 426 wedge. now tell me that a 426 wedge is junk. drop in a stroker crank and you can make as many cubes as you want. good set of heads and you can make 600 hp if you wanted it to. but sonic check the block first, make sure it'll take .060 over! actually the pushbutton trans is probablly worth more then the engine but then again i'm a pack rat so i would build the engine just to be different. i priced .030 over stock stroke 10.1 compression 413 pistons a few months back and they were around $400.00 a set, so that should give you an idea on the price of pistons. dogdays, how would that combo you have work with a set of max wedge heads, intake and exhaust manifolds? I suppose it would work out fine but my cheap@#$ buildup using the lowest price cast pistons is designed to be a 5500 rpm redline engine. In general the larger MW ports would be better served by having more engine under them so going from a 413 to a 472 would move the power band down into the more usable range. One can always build an engine to be more expensive, make more power, etc. Note that the heads are stockers and the pistons are the lowest price cast replacement pistons, the rods are stock 413 LYs. This is meant to be an engine that could be built on the cheap but make really usable street power. I grew up with a 455 olds that would smoke the tires on our Delta 88 even with its two-barrel carb. Massive torque down low with little emphasis on top end is where I'm coming from. If I were looking for bigger power (+200 hp) the block would turn into a 440 block and the heads into Edelbrocks or something like that, also the rods would be better and the pistons lightweight forgings. But now you're $1500+ over my very limited imaginary budget. Also, you go bigger on the cam meaning more work on valvetrain and springs, etc. It's a whole 'nother breed of cat. I agree with the notion of a .062 overbore up to 426 and use 383 cast or forged pistons and make a low end torque monster. Hell, I am building up my rock solid 361 in a 66 Charger with a mild cam and carb and headers. 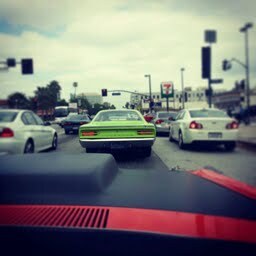 No mopar is junk. They can all be respectable power makers. Funny, I never find anyone giving any away for scrap. This comes up all the time here, the old "413s are useless scrap". Why arent there TONS of them in the Free section on Moparts if thats the case? If they are so useless I would be more than happy to take a complete 413 with the crossrams off someones hands so I could put it into my 51 Wayfarer! Heck I got the car for free, why not a free engine! Last edited by wayfarer1; 05/28/08 12:44 AM. Yeah, and I would take a Max Wedge free in a heartbeat. Get real, 99% of the 413s are garden variety either industrial or out of some C-or Y-body. The problem is that around here any 413 is a "Max Wedge" and everyone thinks they are golden. They reason you don't see them being given away is that most are scrapped already. I agree, and the same can be said about a 426 Street Wedge. In fact if you look at the stock specs on the first year 1966 440 all three of them are nearly identical engines except for the different bore sizes. Same 516 closed chamber small valve heads, same low profile single 4 intakes and small AFB carb, same log style exhaust manifolds, etc. *If you are hunting for "deals" on 413 stuff, buy 65 engines with the original 727 transmissions. As mentioned above, the transmissions are often worth more than the engines, 65 is the only year the 727 case had provisions for either the push button and the lever style shifters. i know the feeling, i looked for a couple years straight to find a specific 1962 413 for a dart i'm cloning and i still payed a good price for a stock untouched block and crank when i found it. coarse it has the truck/max wedge casting #'s on the side of it which caught me off guard. 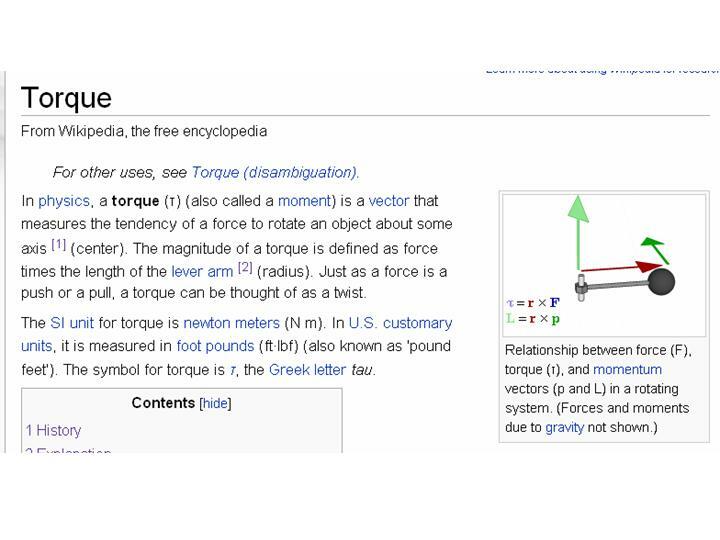 Torque is not about cubic inches as much as it is about stroke(hence stroker kit=more torque). In addition, the factory specs show the 65 413 with 340hp/470tq and the 413 x 2 4bbl as 390/485, The best 440 4bbl is 375/480 where as the hemi was 425/490. Even the 426 max wedge was 415/470 and 425/470 in the 13.5 to 1 comp. (ref Motors manual circa 1969). Therefore the 413 IS very competititive. We used to street race alot in the 80's and could find old New Yorkers with these motors in them that ran well. Blow one up, spend $50~100 and half a day swapping in a new one. Aftermarket parts availability is the limiting factor.